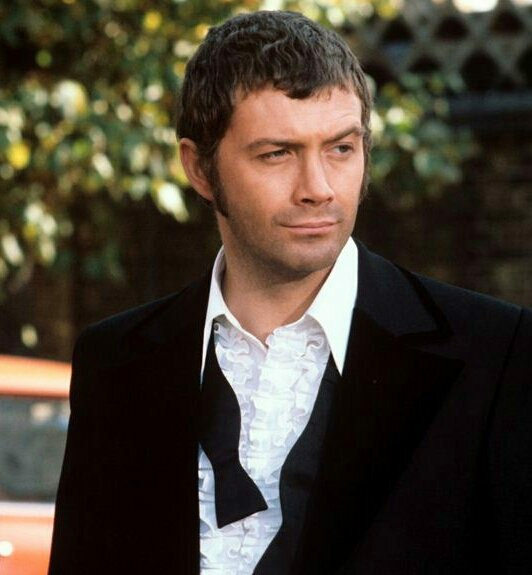 #257....."LEWIS COLLINS" - BODIE 3.7 . you'll never walk alone ! Scrubs up nicely, doesn't he? oh he most certainly does....delicious and absolutely perfect. Ah yes, the real deal! Another fantastic, classic capture of our Bodie. Thank you! Mmmmm there is nothing quite like a Bodie in his dinner jacket with his bow tie hanging loose..... perfect. Bodie cleans up nicely. Thanks. You are very welcome and he most certainly does clean up very well.... very well indeed. mmmm i love his state of being dressed up but i like the thought of him getting undressed up even better . Nope .. I really don't get bored with this look ..
no nor me , he looks soooo delicious and the bow tie hanging loose around his neck....,yum . He really does look delicious in his dinner jacket and white shirt. He most certainly does and I love the bow tie hanging loose around his neck.